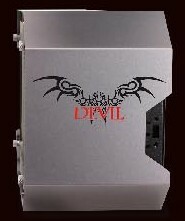 TUL Corporation, a leading and innovative manufacturer of graphic cards since 1997, has released a brand new external graphics card chassis called the DEVIL BOX. 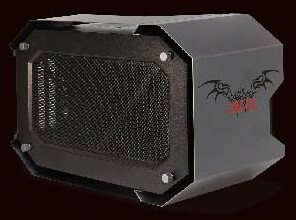 PowerColor DEVIL BOX is based on AMD XConnect Technology which was introduced on March 16th, 2016 by AMD. This technology has developed in collaboration with Intel’s Thunderbolt group. The PowerColor DEVIL BOX is primarily for users who would like to have an even more powerful graphics card, whether Nvidia or AMD, on his/her notebook or mini PC in pursuit of desktop-class graphics performance. 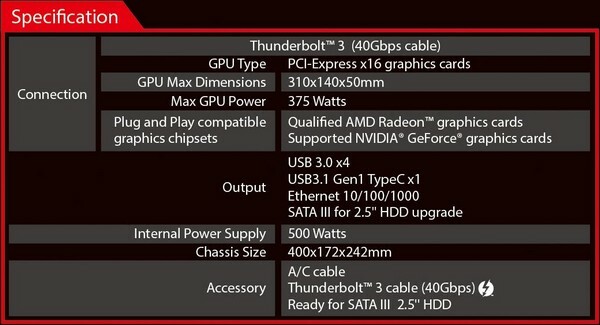 With a qualified graphics card installed in the PowerColor DEVIL BOX and connecting with Thunderbolt 3 specification, gamers and enthusiasts will be able to play any types of games on the market without sacrificing the portability of a thin’n’light notebook.